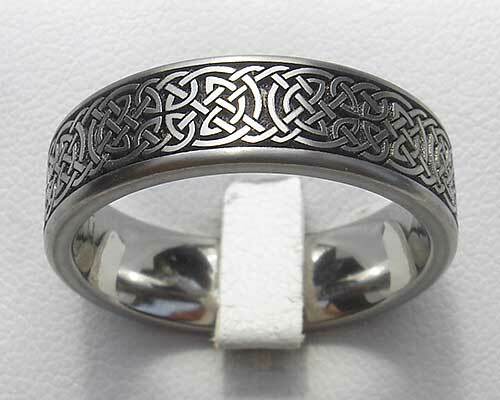 Flat Profile Celtic Shield Knot Titanium Ring : LOVE2HAVE in the UK! A flat profile Celtic ring made from titanium that features a deeply recessed engraving against the natural grey colour of titanium. The repeated continuous pattern is that of an interlaced circle and line work that goes all the way around the ring.